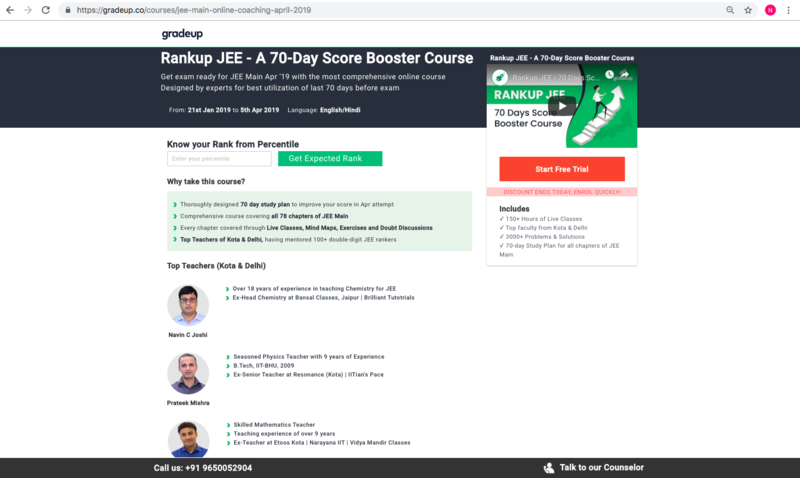 22 January 2019: Gradeup, India’s largest preparation platform for competitive exams, has launched Rankup JEE: A 70-Day Score Booster course. It is a comprehensive course designed to improve the performance of students in JEE Main April exam. It is commonly known that this year students get two attempts at JEE, in January and again in April, and the better score of the two is recorded as the final one. Gradeup has created a course that focuses on intensive preparation over the 70-day interval between the 2 attempts, thereby improving scores and boosting the final rank attained by aspirants. The integrated course created by Gradeup offers collaborative preparation, wherein students learn from their experiences in January and score better in April. Based on engagement and personalised learning, the programme focuses on activities like live courses, mock tests, previous years’ papers and open discussions which cover all the concepts in an interesting, easy-to-retain manner. 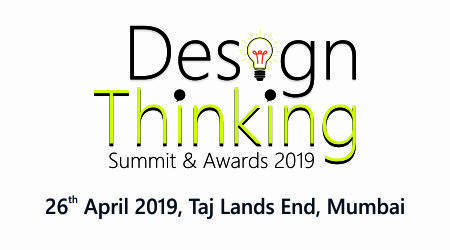 The course has been designed by industry veterans from Kota and Delhi who have extensive experience in coaching JEE aspirants and helping them attain desired results. According to Gradeup, this course can boost a student’s overall result by 50-70 marks. Since its inception, Gradeup, through its unique teaching methods and numerous favorable outcomes, has already engaged more than 1.3 crore aspirants from over 2500 cities across the country. Students can enrol for 70 days to boost their score here. Gradeup is India's largest exam preparation platform for competitive exams. Through its website and app, it helps more than 1.3 crore registered students across 2500 cities in the country to prepare actively for various exams & score better. They believe that people prepare better when they prepare together; by questioning, helping & challenging each other. Hence, at the very core of Gradeup lies a community of students & expert mentors. Established in the year 2015, It has established & nurtured highly engaging exam-specific communities of students and mentors for SSC, Banking, Railways, Teaching, JEE, GATE, NEET, UPSC, Defense and State level exams. The Gradeup community lets users collectively solve each other’s doubts, and interactively learn and compete with each other through quizzes and mock tests. It gives them access to prep material & previous years’ papers to score better in their exams. They appreciate the value of structured preparation, not just the quantity of it but also the approach. It is only by preparing actively every day & making small but significant headways can one ensure continuous improvement. Gradeup believes that competitive exams can make a huge impact in a student’s life and they exist to help them prepare and score better in the exams.